UEFA offices have been searched by Swiss police. 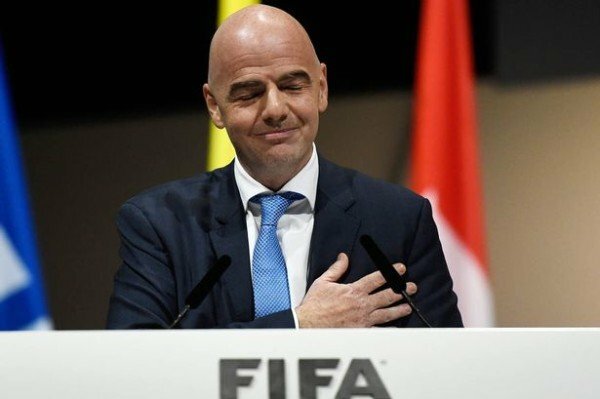 It follows the naming of ex-secretary general Gianni Infantino – now president of world soccer’s governing body FIFA – in papers leaked from Panamanian law firm Mossack Fonseca. Meanwhile, a FIFA official also named in the papers – Juan Pedro Damiani – has resigned. Gianni Infantino has denied wrongdoing while the European soccer’s governing body says it is helping police. While working for UEFA, Ganni Infantino co-signed a TV rights deal in 2006 with two businessmen who have since been accused by the FBI of bribery. Cross Trading – owned by Hugo Jinkis and his son Mariano – bought TV rights for UEFA Champions League football in 2006 for $111,000 and immediately sold them to Ecuadorian broadcaster Teleamazonas for $311,170. The company also paid $28,000 for the rights to the UEFA Super Cup, selling those to Teleamazonas for $126,200. The contract came to light after 11 million documents were leaked from Mossack Fonseca. A statement from Switzerland’s Office of the Attorney General (OAG) said a “co-operative search” of the Nyon building took place “for the purpose of securing evidence”. It said its criminal proceedings were connected to the acquisition of television rights and were “directed against persons unknown, meaning that for the time being, no specific individual is being targeted”. The statement added: “The suspicion is based on the result of findings that have emerged from other proceedings, as well as the corresponding financial analyses carried out by the OAG. “Current publications in the media subsequently revealed still other elements that made it possible to complement the existing findings in a decisive manner.